According to the opinion of psychologists, personality has been called the collection of those virtues and traits, by which diversity is seen in different people. In the modern education, special importance has been given to personality differences. It is necessary for students to know the characteristics of personality for giving educational, occupational and personal direction, hence in the process of education; the importance of the evaluation of the personality is extended. Many methods and tests are used for the measurement of personality. We will think over some of the important methods and tests here. 3. Projective Method—Projective Method means the method, in which a stimulating situation is presented before student, in which he sees his concepts, feelings, tendency and emotions in others and expresses his thoughts which are collected in his unconscious mind. 1. Case History Method—In this method, information related to man’s physical health, physical characteristics, personality differences, social relations and family history etc are collected. This information is related to man’s past, present and further coming possibilities. In this method, learner gets the information with the help of the different sources such as, parents, relatives, friends, neighbors and doctor. This method is used often for the prevention of psychological disease. 2. Questionnaire Method—A list of questions is prepared related to the different virtues of personality in this method, in which man has to reply in writing ‘yes’ or ‘no’. This method is also called ‘Paper Pencil Test’. With the help of this questionnaire, the characteristics and virtues of men as- interest, disinterest, confidence, social awareness, introvert tendency, tendency of dependence etc are tested. (ii) Open Questionnaire—The complete answer of the question has to be written in this questionnaire. as, What should be the motives of Indian democracy? (iii) Pictorial Questionnaire—Some questions are presented in this questionnaire. Student has to reply the questions by putting a tick on different pictures. (iv) Mixed Questionnaire—There is a mixture of above questionnaires in this questionnaire. 3. Interview Method—In this method, interviewer gets some important information from the student, which is helpful in understanding the characteristics related to his personality. This method is mostly used for the selection of government jobs. 4. 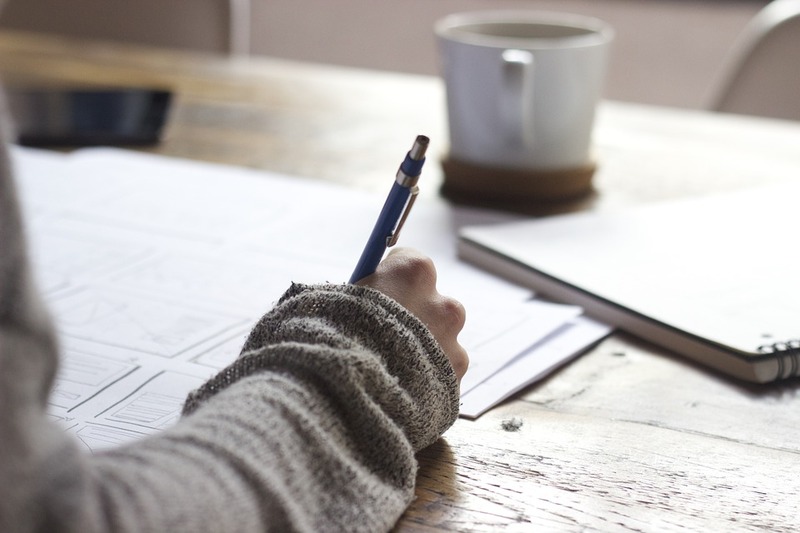 Autobiography or Self History Method—In this method, examiner gives a topic to the student related to personality and tells him to write his personal history, reading it examiner expresses his thoughts that correspond to that man. 5. Controlled Observation Method—This method is used in the controlled situation of the psychological laboratory. Examiner studies the different activities and conduct and behavior of the students in it. On the basis of this, the characteristics of a student are known. 8. Physical Test—In this method with the help of different instrument, the physical traits of special student are studied. Plenthisomograph—Blood pressure can be known through this instrument. Electro Cardiograph—Heartbeats can be measured with the help of this instrument. Sphygmograph—The movement of nerves system can be found with the help of this instrument. Pneumograph—The movement of breathing can be measured with the help of this. The process of breathing is studied by it. Psycho-Galvanometer—The changes that happens in the variation of skin are tested with the help of this instrument. In the emotional state, the electronic factors which found on the skin are increased or decreased, as, due to fear, feeling the thrill, feeling the trouble etc. in this way with the help of this instrument, the emotional changes that happen in man are understood. With the help of above instruments, the psychical traits of man his courage, bravery, devotion, timidity and Culprit tendency can be found out. A child playing on violin. A girl who has some books in her hand, another woman staring toward her and a farmer doing work in the field at a distance. On the right elbow, holding the forehead, a boy lying on the floor who has a gun. Bowing down the head, putting the right hand on the head and holding the door with left hand. What happened in the beginning, on the basis of which his event is shown in the picture? What are these people thinking? What kind of feelings is arising in their mind? What will be its end? Five minutes are given to complete the story. A man expresses his natural desires, emotions, thoughts, feelings and thoughts in these stories. This can be his real story. Examiner analyzes these stories and finds out the traits of man on the basis of it. 10. Children Apperception Test—This test is used for testing personality arrangement of the children. 10 pictures are used in it. These pictures are related to some animals, which are seen behaving like man. The information on different interests, activities, problems of children can be obtained by this test. 11. Rorschach Ink blot test—Herman Rorschach, The famous Psychologist of Switzerland invented this test. In this test 10 proofed ink blotted cards are used, five are quite black among them. Two are black and red; more colors are mixed in three cards. Different things are seen to different people in it, these blots are shown to you one by one. Watch carefully to each of the cards and tell me, what you see in it? You may see it as long as you want to see it, but say everything whatever you see in it, when you see it properly, return to me, showing one blot “What it can be? After giving indication these cards are shown to students one by one. 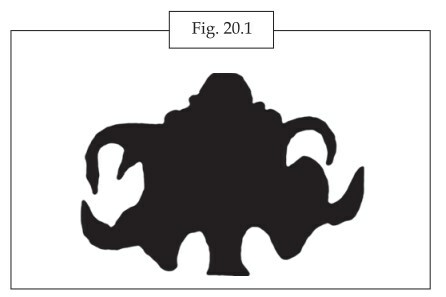 After seeing these blots, which type reaction student does, examiner notices his reaction. Location—it is seen in it that student reacts to any special part of it or the whole. Quality—It is seen in it that his reaction is according to the curvature in it or according to the movement or different colors. Content—it is seen that student sees in it the figure of man or animal or other things or any landscape. Time—it is seen how much time student took in looking at each blot. It is the opinion of the psychologists that the conscious and unconscious mind of man can be tested on the basis of above analysis. By this test the social awareness, emotional reaction, creativeness, the development of imagination power, adjusting capacity and personality related characteristics of man can be found out. 12. Sentence Completion or Story Completion Test—In this test, some incomplete story and sentences are presented in front of the student. He expresses his desires and emotions in these sentences and stories by the words and thoughts which have arisen in his mind and his personality can be studied on the basis of it. 13. Free Words Association Test—The internal condition of man can be known by this test. In this test 50 to 100 selected words are stimulating words. Examiner says one word in front of each student, as, house, water and sweet etc. He is encouraged for expressing all the words and thoughts whatever comes in his mind related to that word. Examiner continues to write the spoken words, each word, and the ‘reaction period’ on each word of student. And at last, on the basis of given responses, personality assessment is done. 14. Dream-Analysis—This method is used for doing psychiatry. In this method, a man is asked to write or express his dream after remembering it. In these dreams the knowledge of desires and feelings of unconscious mind of a man can be obtained. There are some complications in this method because a man cannot remember his dream properly. On the basis of the responses given by the man, it is tried to resolve his problem. Whatever works psychologists have done in the direction of personality tests, according to it many important methods have been used for the measurement of personality. Personality assessment is needed in the different working fields. The use of Personality- tests are done in the selection of the students, army, and employees of different services and for the prevention of mental patient and for the solution and prevention of personal problem. With the help of these tests, after getting the information of interest, disinterest, natural virtues, internal condition, social and personal relations, and personality, guidance can be easily given. On the basis of these tests, the causes of different problems of student, as, mental unhealthiness, backwardness, indiscipline can be found out. Thus, from the personality tests, personality related problems can be resolved and prevented. It is necessary for students to know the characteristics of personality for giving educational, occupational and personal direction, hence in the process of education; the importance of the evaluation of the personality is extended. Many methods and tests are used for the measurement of personality.